I LOVE wide leg jeans and trousers – and they are so flattering! Thank you so much Sarah for putting in the effort to find me some solutions! Sweet! I’ve got a pair of gorgeous Valentino wide leg trousers but have no idea how to style them so this post is perfect – I love how they look with a sleeveless top! I’m so happy these beauties are back in fashion, as I love them! I prefer them with high heels so you look as tall and lean as possible (not pooling around the ankles, ruining the fabric…). Comfy and chic, all at the same time! 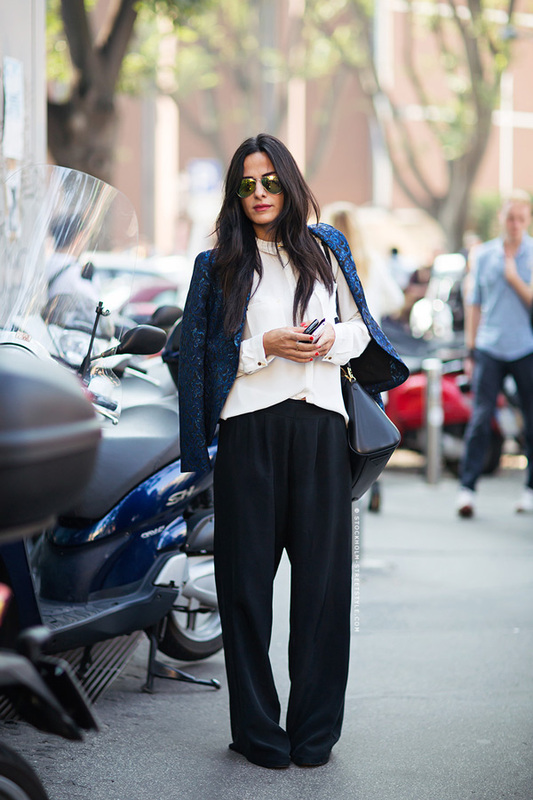 I love wide legged trousers, but I’m 5’1″ – can short girls get away with these?? ?